Posts tagged "Rare Movie Time"
The discovery of a rare lost film with an All-Indian cast has become a great story of film preservation and history. The Daughter of Dawn is the earliest and probably only silent film with an all-Indian cast. Long thought lost after the film’s 1920 premiere, the film disappeared from the public’s consciousness until in 2003 a collector paid a private investigator with reels of the film instead of cash. The film then was sold to the Oklahoma Historical Society (OHS), and film restoration began to protect the rapidly-decaying print. The reason the film survived was this was a “Paper Print Collection” copy made for the Library of Congress’s Copyright Office, as films were required to make copies there to get copyright protection. It took only a few months to restore the film and after the intertitles [dialogue text pages inserted into the film between cuts] were added, the footage expanded out to the full movie and the original six canisters.” The completed film has a four-way love story and includes two buffalo hunt scenes, a battle scene between the Kiowa and the Comanche, scenes of village life, tribal dances, hand-to-hand combat and a happy ending. Gee, way to spoil that 90 year old film! The all-Native cast was mostly made up of Kiowa and Comanche, who lived on nearby reservations. Former Vaudeville performer Norbert A. Myles was hired to direct for Richard Banks’s Texas Film Company. 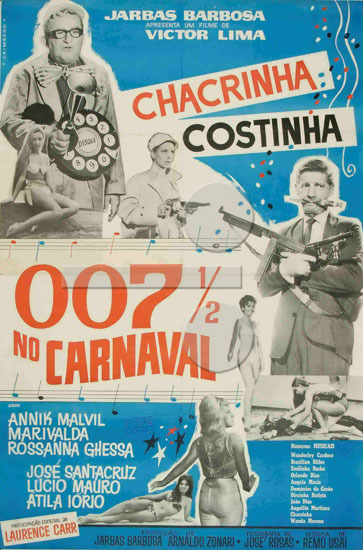 The film then disappeared after the premiere, despite good reviews. From the depths of Korea comes the Teenage Mutant Ninja Turtles piloting giant robots! 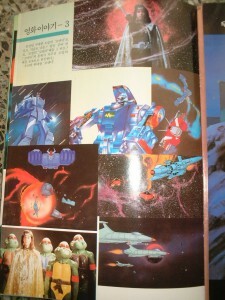 Yes, in a live action movie mixed with cartoon robot fights! 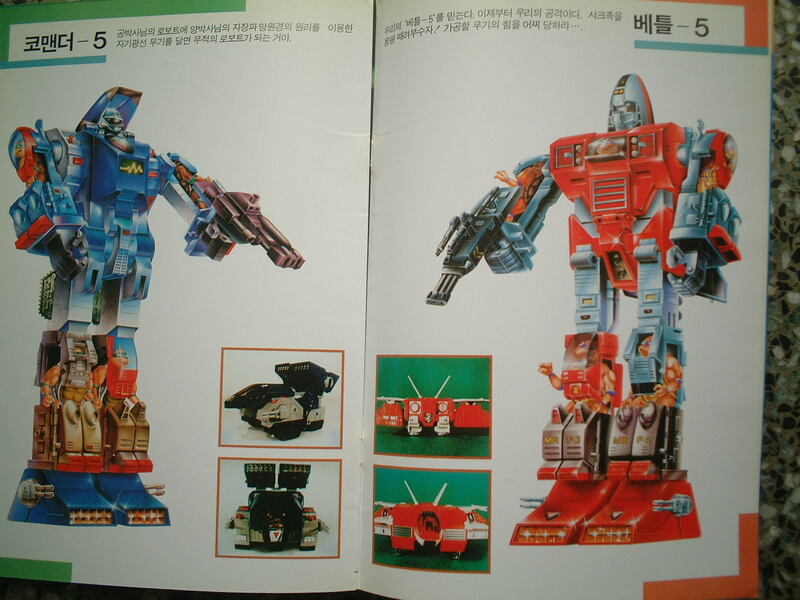 Our Friend, Power 5 (Wurideul-ui chingu pawo 5 aka 우리들의 친구 파워 5 )Besides directly ripping off TMNT, the robots are ganked from Go-Bots, most particularly the Gobots Guardian Power Suit. This copyright nightmare is probably never going to get a legit release in the US because no company wants to get sued into the ground. 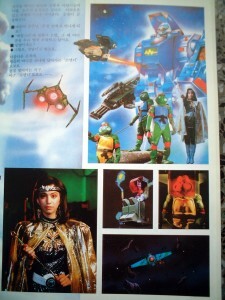 I don’t even know if it has much legitimate releases in South Korea, because the only shots of it seem to be from VHS. But you never know when funky DVDs or VCDs will show up. Until then, all we have are internet images, translated websites, and a lot of frustration. Just the thing rare cult movie fans love to hate to love. On a star called ‘Battlestar,’ a class of turtles have evolved to form a civilized society. Shark, villain of the universe, attacks Battlestar. The princess escapes with the secret design plans of the Comentor Robot. On earth, Dr. Yang discovers how to bring garbages of the universe to earth and take care of them. Dr. Yang brings the princess to earth. Hyuk walks into Dr. Yang’s lab. Contaminated by gamma rays, Hyuk grows supernatural powers. Hyuk and the princess combine forces and fight Shark and his men. Dr. Yang and Dr. Gong finish the Comentor Robot to defeat Shark’s troops. The princess and her people return to Battlestar. Unfortunately the site won’t let me access the stills, so screw KMDB! How about screen shots of the actual film? Got you covered, thanks to some Korean guy! Hooray! Searching in Korean also yielded this site that has more photos of both of the robots used. Thank you, random Korean blogger guy! You can rest assure that if TarsTarkas.NET gets a hold of a copy of Our Friend, Power 5, we will review the FRAK out of it! No known copy of this film exists in American collector’s circles, but as most of them aren’t living in Taiwan/China there could easily be copies there lying in basements or rental shops. The film has gained its notoriety thanks to the images showing characters fighting giant bat-things that look like some creatures from Latitude Zero. buy these from this guy if you got money to burn! UPDATE – TarsTarkas.NET’s Review of the film is here! 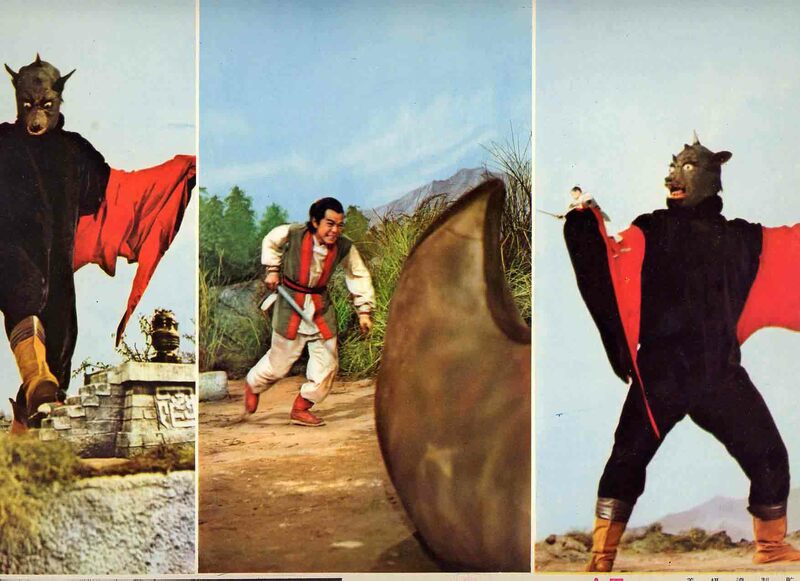 Young Flying Hero (aka Return of the Magic Serpent) is a Taiwanese fantasy film from 1970 that has some giant monsters stomping around. 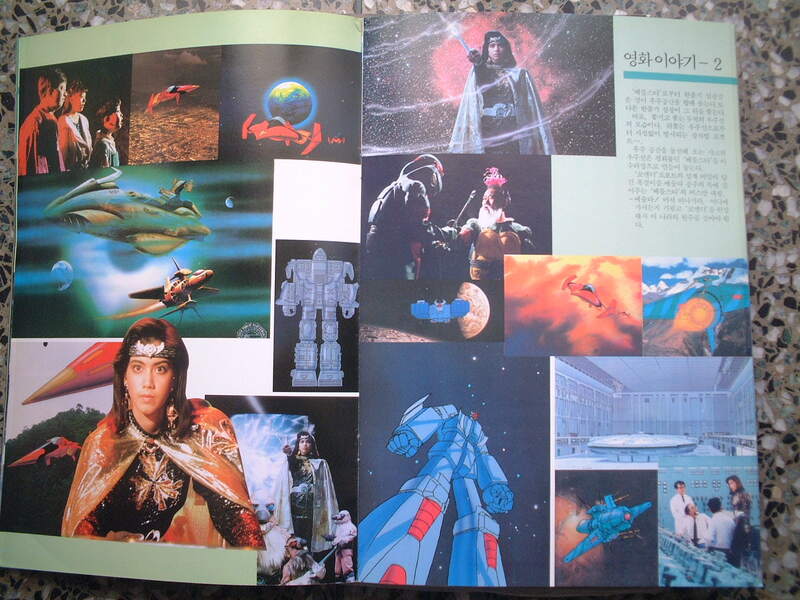 It was directed by Tong Chim, who only seems to have one other directing credit, The Wolf and the Angel. Hardly anything is known about the film in collector’s circles due to it being so hard to find. 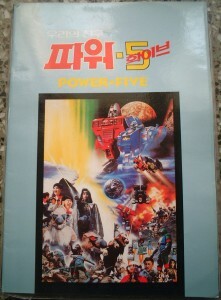 Besides posters and lobby cards making everyone salivate, the actual movie has turned out to be surprisingly elusive. So just enjoy these photos and think that maybe one day you will be able to see the film! Hong Kong Film Archive fun! So I have been thumbing through the Hong Kong Film Archive online (as I needed the cast list for an upcoming review) and spent lots of time rummaging through the plot descriptions of old movies I will probably never see. I copied a few of them here, and will probably revisit this a few times when I run across other interesting stuff. Tso Tat-wah (as Hon Kim-man, Choi), Law Yim-hing (as Lam Chor-ying, Man-chu), So Siu-tong (as Fong Siu-kong), Sek Kin (as Sit Hung), Yam Bing-yee, Lau Hark-suen, Ma Siu-ying, Leung Chui-fun, Cheung Sing-fei, Cheung Sang, Hui Ying-ying, Leung Yuk-kwan, Chow Kat, Yuan Xiaotian, Tong Kai. Failing to gain the father’s approval of his marriage, Hon Kim-man elopes with his lover Lam Chor-ying, who later gives birth to twins. No sooner, the couple fall victim to bandit Sit Hung’s murder plot. The daughter Man-chu is raised by an ape, while the son Wai-choi is adopted by Sit. Years later, the ape is killed by a hunter. A wounded Man-chu flees and is taken in by Taoist Cheung Hung and his disciple Fong Siu-kong, who teaches her to read and the martial arts. From the portrait and jade bangle born by Man-chu, the Taoist gathers that she is in fact his granddaughter and thus reveals her birth story. Fong and Man-chu complete their apprenticeship and are set to join the rank of the security master Hung Pau, hoping to seek out their family foe. When they learn that Hung is in fact Sit, they fight the villain in a deadly duel during which Man-chu recognises her twin brother Choi from the same heirloom, a jade bangle, he possesses. The siblings join hands to avenge their parents’ death and annihilate the villain. Note: Yam Yu-tin, an emigre from Shanghai, belonged to Hong Kong’s first generation of martial arts directors. His daughter Yam Yin and son Yam Tai-koon were also in the cast. Several hundred martial arts experts took part in the film’s fight sequences. 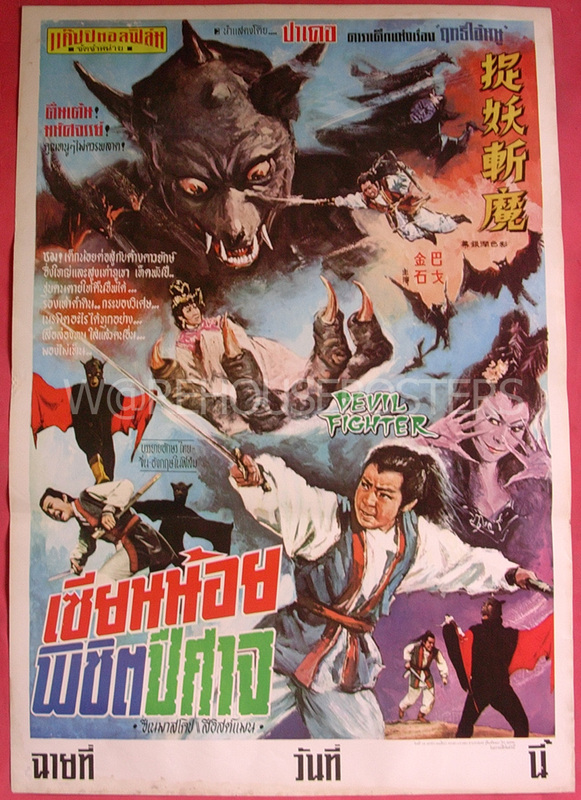 Cast: Tso Tat-wah, Yam Yin, Sek Yin-tsi, Kwok Sau-zhen, Lau Kwai-hong, Yau Kwong-chiu, Sek Kin (aka Shek Kin), Yam Tai-koon, Ko Chiu, Chao Fei-fei, Lam Kar-yee, Lee Pang-fei, Lee Ngan. Note: Based on Xiao Ping’s On the “Brink of death” in ‘Wong Ang the cat burglar’. 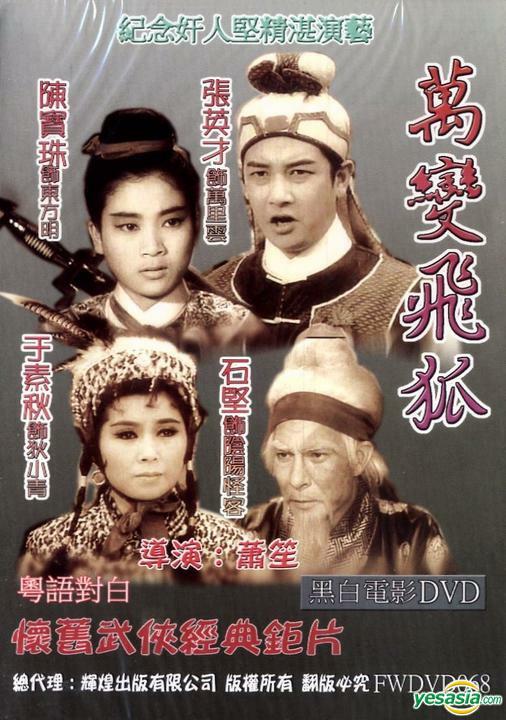 Cast: Yu So Chow (as Wong Ang), Wu Lai-chu (as Wu Nga), Yam Yin (as Heung At), Lam Kau (as Hui Pui-shing), Lee Ming-chu, Si Ma Wah Lung. The three heroines, Wong Ang, Wu Nga, and Heung At expose a murder case involving three dead bodies found in an old temple. Unbeknown to the trio, they’ve fallen in a trap laid by gangster Hui Pui-shing, who desires to avenge his brother’s death by eliminating the women. With the cooperation of Hui’s righteous subordinate, the police arrest Hui for smuggling tobacco and seizes their forged banknotes. Cast: Yu So Chow (as Wong Ngung), Wu Lai-chu (as Wu Ngar), Yam Yin (as Heung Nga), Lee Suen (as Chen Xue-ying), Sek Kin, Kam Lui (as Fan Tai-kit), Lau Siu-man (as Fan Tai-hong), Hui Ying-ying (as Lina), Lai Kwan-lin (as Shum Lai-fong), Lo Yin-ying (aka Lo Lan) (as Lee Pik-lin), Cheung Tsok-chau, Wong Hak (as Lao Dong), Yeung Ban, Cheng Man-ha. The Flying Dragon gang goes on a rampage and the police Inspector is at his wits’ end. He then commissions Wong Ngung, Wu Ngar and Heung Nga, who rob the rich to relieve the poor and have excellent skills, to help him catch the gang members. Suet-ying, a young woman, is addicted to gambling and owes a huge sum to the gambling den that belongs to the Flying Dragon gang. She has even signed IOUs. When the younger sister of Ying’s husband sees that Ying is weighed down by worries, she asks Wu Ngar for help. This fits in with the plans of Wu Ngar and her two partners. Wu Ngar sneaks into the gambling den, but her behaviour is suspected by the gang leaders, Tai-kit and Tai-hong. Fortunately, Wong Ngung saves her. Hong is willing to pay a big sum of money to Advisor Lung to deal with Wong Ngung and her partners. But he later refuses to pay Master Lung, using the excuse that only Wong Ngung and Heung Nga fell into the trap. In doing so, he becomes Lung’s enemy. Wong Ngung and Heung Nga are saved by Lung’s men and manage to escape.To get back the IOUs, Ying falls under the control of Hong and Kit. Master Lung has evil designs on Ying. He first kills Kit and seizes Ying. Hong then shoots and kills Lung. Wong Ngung and her two partners go into the gambling den again and get back the IOUs for Ying. They also notify the police Inspector to arrest the members of the Flying Dragon gang. Hong wants to flee, but is shot and injured by Wong Un. He is arrested with the other gang members. Cast: Yu So Chow (as Wong Ngung), Wu Lai-chu (as Wu Ngar), Yam Yin (as Heung Ad), Sek Kin, Kam Lui (as police officer To), Hui Ying-ying, Ng Yan-chi (as Sung Tai-wai), Lo Yin-ying (aka Lo Lan) (as Second concubine), Heung Hoi (as Wong Hoi), Kwan Ching-leung, Fung Mei-ying, Chan Yiu-lam (aka Charlie Chan), Tai Sang Po. The Diamond Gang commits a robbery. The gang’s leader Chiu Yee-kong wants to keep the booty all by himself and this arouses the suspicion of gang member Tai-wai. The police does not have a clue and thus invite Wong Ngung, Heung Ad and Wu Ngar to help investigating the case. Kong is in accomplice with his third concubine. They order someone to steal the diamond and leave Wong Ngung’s symbol on the scene. Thus, Wai turns his attention on Wong Ngung. Wong Ngung, Ad and Wu Ngar are not afraid of Wai’s bullying and they even throw him out. They sneak in Kong’s apartment late at night to investigate. Kong’s second concubine is mad at Kong for neglecting her. She tells Wong Ngung the truth but gets killed short time later. Kong’s people surround Wong Ngung, Ad and Wu Ngar. Each of the three has to face the enemy independently. Ad is caught by Wai. 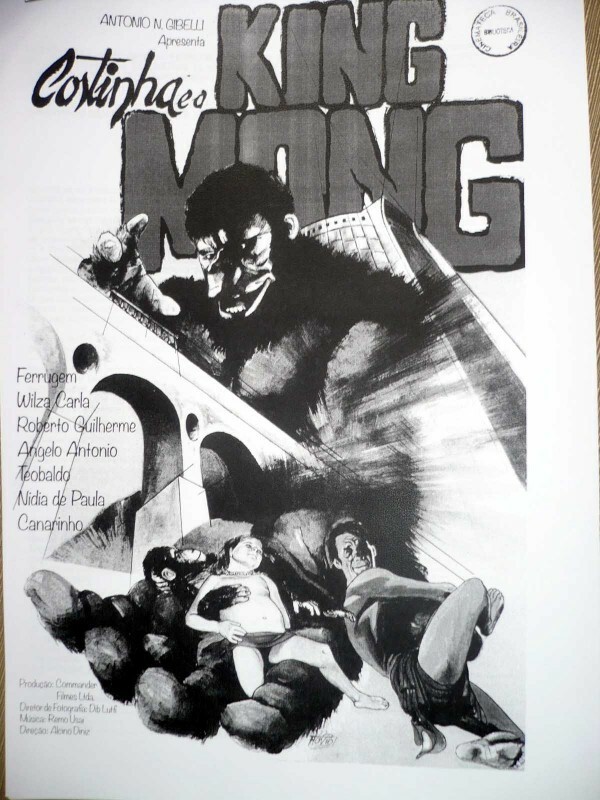 Kong’s servant frames Wong Ngung for killing Kong’s second concubine but the inspector realizes that it is a lie. Ad is tortured by Wai. Luckily, Wong Ngung and Wu Ngar arrive in time and save him. One of Kong’s people turns against Kong and tells Wai the truth. Wai immediately attacks Kong. In the meantime, Wong Ngung, Ad, Wu Ngar and the police arrive at Kong’s headquarter to arrest the gangsters. Wai is arrested but Kong has escaped. However, the diamonds are found. The inspector decides to make Wong Ngung, Ad and Wu Ngar as partners hereafter. Based on “Coiling Dragon and Crouching Tiger” (Long Zheng Hu Dou) in ‘Wong Ang the Cat Burglar’ (Nu Feizei Huang Ying). Yu So Chow (as Wong Ang), Wu Lai-chu (as Wu Nga), Yam Yin (as Heung At), Lam Kau, Lee Hong Kum, Lee Pang-fei. The Shanghai gang frames the bank robbery they committed on Wong Ang and co. To prove their innocence, Wong, Wu Nga, and Heung At seek out the real culprits and engage themselves in ferocious battles against the evil forces. Canine star “Mr Lucky”, a German sherperd, performed various tricks including ‘Guarding objects’, ‘Leaping pass shoulder’ and ‘Jumping bench’. Kwan Tak-hing (as Wong Fei-hung), Tso Tat-wah, Yam Yin, Sek Kin (aka Shek Kin) (as Big Mole Mak), Siu Hon-sang (as Wong Bat-sang), Lee Pang-fei, Mr Lucky (dog star). Local tyrant Big Mole Mak hires a Western-trained boxer Wong Bat-sang who turns his ferocious dog on the gates of Master Wong Fei-hung’s medical establishment Po Chi Lam in an attempt to challenge his authority. Wong Fei-hung first subdues the fearsome dog with a strip of cloth, then thwarts Bat-sang’s iron-cone attacks. Having met his come-uppance, Mak is made to donate a handsome sum to charity. According to the advertisements, the film was originally banned but was eventually released after a review by the censorship board. Sek Yin-tsi, Ma Ying, Lam Kau, Yam Yin, Ma Kam Ling (Ha Wa), Wong Siu-pak, Yam Tai-koon, Lee Pang-fei, Lee Keng-ching, Law Wai-zhen, Chan Yim-kwong, Chan Fei, Ng Cho-sing, Ko Chiu, Wong Chiu-chuen, Cheung Sang. The swordsmen of the Emei school do battle with heretical monks and malevolent demons, facing great dangers in the Chiu Yuen Temple and break through the Green Snails militia formation. Good and evil are irreconcilable. Sek Yin-tsi, Chun Siu Lei, Yam Yin, Yam Tai-koon, Chao Fei-fei, Lam Kar-yee. Queer-faced Tiger is a mysterious bandit with demon-like powers, causing havoc in the community with his plundering and robbing of men and women. The Red-Garbed Lady Knight, possessing the strength to lift a giant bell, penetrates the booby-trapped Cave of the Skulls. With the help of Immortals, who confer three treasured items to the heroic protagonist for breaking through the cave, the Queer-faced Tiger is finally subdued. Lam Kau, Yam Yin, Chui Tsi-chiu, Lam Kar-yee, Yam Tai-koon, Wong Siu-pak, Ma Ying, Ma Kam Ling (Ha Wa), Lee Pang-fei, Chao Fei-fei, Chan Fei, Chan Yim-kwong. The flying swordsmen of Mount Emei utilise their skills and magic gadgets to penetrate the Gold and Silver Palace. The magic gadgets include an all-angle “devil-searching mirror,” an expandable jade pillar-like telescope, an iron umbrella capable of separating the oceans, and a “nine heavens” ruler to put down the various demons. Tso Tat-wah (as Leung Kwong), Yam Yin (as Mok Ching-kiu), Lau Kwai-hong (as Kwan Yung), Sek Kin (aka Shek Kin), Yam Tai-koon (as Chan Siu-koon), Lee Ngan (as Chan Mei-lin), Chan Biu (as Lam Kwai), Chan Fei (as Taoist Ching Chen), Chow Chung (as Lee Kam-wing). Based on “Canonisation of the gods”. Yee Chau Shui (as Monk Luk Ngat), Lam Mui-mui (as Madam Wan Siu), Yam Yin (as Madam King Siu), Yam Tai-koon (as Nazha), Lam Kar-yee (as Madam Bik Siu), Lau Hark-suen (as Chiu Kung-ming), Lee Pang-fei (as Master Man), Chao Feifei (as Sun Kung-pao), Chui Tsi-chiu (as Yiu Siu-see), Yeung Yip-wang (as Yeung Chin), Cheung Tin-sang, Lee Keng-ching, Leung Yeuk-ngoi, Man Ying, Wong Cho-kwan. Keung Chi-nga comes to the aid of King Mo in his war against the tyrant King Chau by leading his soldiers on an expedition from Xiqi. King Chau’s Chancellor Man, suffers repeated defeats in his war with King Mo, asks Chiu Kung-ming of Mount Emei to challenge Chi-nga camp’s Monk Yin Tang, a key fighter in Chi-nga’s camp. They fight in a forest. Ying Tang and his two disciples seize Kung-ming’s magic weapon. Wounded, Chiu Kung-ming heads for the Mountain of Three Fairy Maidens, and pleas his three celestial fairies Madams Wan Siu, King Siu, and Bik Siu, for help. He schemes with Sun Kung-pao and successfully borrows a pair of golden scissors from the ladies. Kung-ming then conducts a rematch with Yin Tang. The scissors turn out to be two mythical dragons striking Yin Tang. But Monk Luk Ngat of Kunlun transforms into a rainbow and saves him. Luk Ngat predicts that Kung-ming is doomed and will die in Xiqi, so he comes to help Chi-nga in the fight. He also passes on the Book of Arrow Secrets to help Chi-nga kill Kung-ming. But Chancellor Man orders Yiu Siu-see to steal the Book of Arrow Secrets by night. Yeung Chin manages to retrieve the book, and Kung-ming is subsequently killed by magic power. The three fairy maidens grieve the death of Kung Ming. Provoked by Kung-pao, they join Chancellor Man to seek a vengeance. They devise a Yellow River Scheme to trap Chi-nga and Yin Tang’s contingent after a fierce battle. Chi-nga and Yin Tang manage to escape and seek help from Elder Yuen Do and the Elder Fairy of the South Pole. With their help, the three lady fairies are killed one after the other; a mythical “exquisite tower” is used to break the siege and rescue Chi-nga’s contingent. Chi-nga then set the Yellow River Scheme on fire. With victory assured, Chi-nga and his soldiers pay obeisance to the elders. 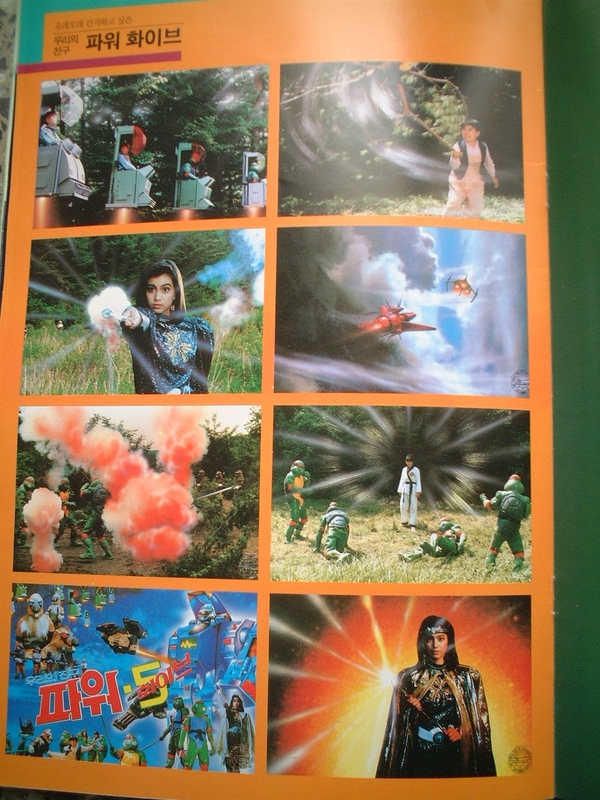 Kwan Tak-hing (as Chow Sun Dam, The fearless), Leung Sheung-yin (as Wan Hing), Lau Hark-suen (as Fried Crab), Yiu Ping (aka Yao Ping) (as Big Tree), Ma Siu-ying (as Hing’s mother), Ning Meng (as Blind Worm), Tang Mei-mei (as Law Yee), Ng Wui (as Nam Kong), Tsui Leung (as Little Chow), Lee Sun Fung (as Yellow Pine Village chief), Tse Hung (aka Hsieh Hung) (as chairman of White Hemp Consolidatory Council), Fung King-man (as Yuen Ken), Lai Ming (as interpreter). 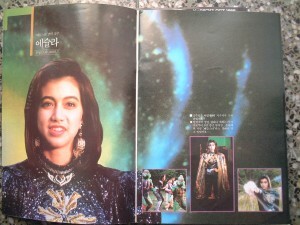 Tso Tat-wah (as Flying Dragon Lung Fei, Lung Ko), Chan Sin-yu (as Cheung Siu-kuen), Ma Ying (as Chan Chau-ha), Lau Hark-suen (as Chan Man-sing), Ning Meng, Lee Yuet-ching (as Flying Dragon’s mother), Yam Yin (as Lady Knight Chuen Yeung tsi), Tso To (as Ah To), Lam Kar-yee, Lam Kar Sing, Yip Yan-fu (as Ah Hong), Yeung Yip-wang, Yip Chuen-wah (as Chow Cheung), Chan Fei (as accountant), Ng Tung (as To Chi-shan). Landlord Chan Man-sing oppresses the peasants. The help of country gentleman Lung Ko is sought by the peasants in their struggle against Chan. Lung Ko tries to mediate but instead becomes a sworn enemy of Chan. With the help of his mistress, Siu-kuen, Chan causes Lung Ko to lose the deed to a mine which is meant to be sold to raise funds for the peasants. Lung Ko’s house is also burned down and wounds from the fire cause Lung to lose his eyesight. Lung’s wife goes to the capital to find his son, Lung Fei. She is only able to get to the capital with the help of Lady Knight Yeung-tsi. On hearing the plight of his father, Lung Fei vows vengeance. From then on, the activities of the robber knight Flying Dragon become legend. Flying Dragon robs the rich to help the poor leaving no trace of his whereabouts. Lung Fei is of course the Flying Dragon. He is also hired by landlord Chan Man-sing to teach his son Ah To. Lung Fei is biding his time to steal back the deed lost by his father. During Chan Man-sing’s birthday banquet, Lady Knight Yeung-tsi turns up bearing a gift of a dagger. She is there to extract justice on Lung Ko’s behalf. Chan’s thugs start to fight with Yeung-tsi. Before long, Flying Dragon also joins in the fight, defeating Man-sing’s thugs. Flying Dragon forces a confession out of Siu-kuen and retrieves the deed. Man-sing commits suicide. Special note – When Hong Kong was occupied by the Japanese, the negative was lost. 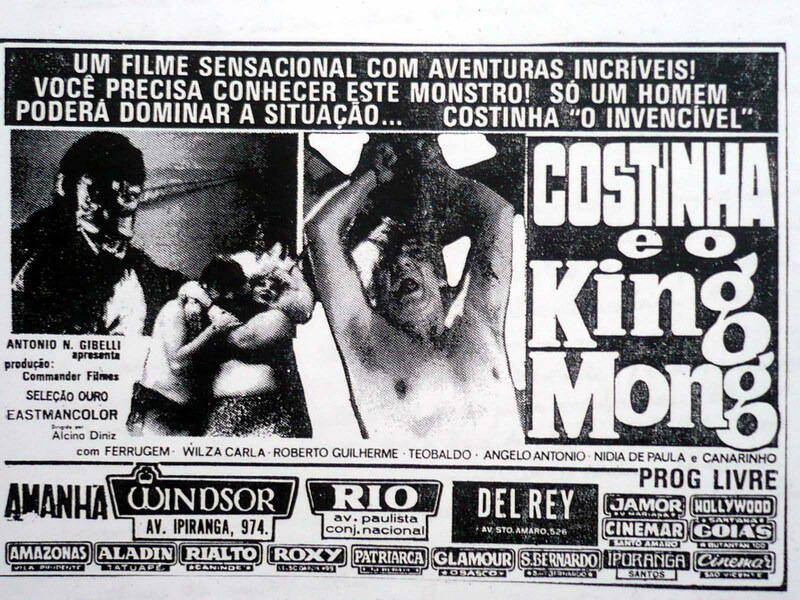 A copy of the film was found after the war and re-edited before release. Yao Ping, Lai Cheuk Cheuk, William Ko, Jiang Wei, Hong Ying. A people’s hero who fights for the weak. 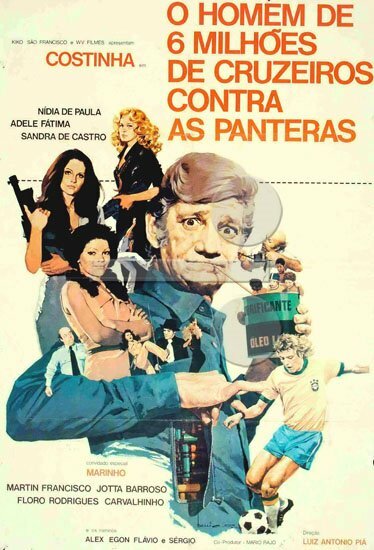 The film has many gunfight scenes and swordplay action set pieces. 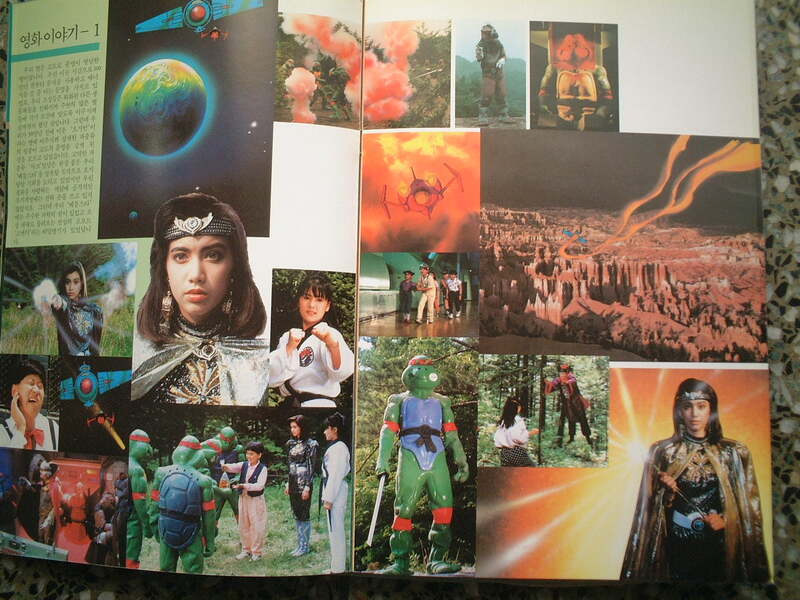 It also includes action scenes displaying both north and south schools of martial arts combat. Choi Cheong – director. scriptwriter. Yu So Chow (as Dik Siu-ching), Cheung Ying-choi (as Man Lei-wan), Lee Hung (as Hon Yuk-ha), Connie Chan Po-chu (as Tung Fong Ming), Sek Kin, Lee Pang-fei (as Duke Pei Dik), Shum Chi-wah (as Sheung-kwun Kei), Sai Kwa Pau (as Wu Chut-chut), Yuan Xiaotian, Kwan Ching-leung, Yeung Yip-wang, Wah Wan-fung, Tong Kai, Lee Sau-kei. The Dragon Sword is the treasure longed by everyone and is originally owned by the Wah Shan Sect. However, the sword is confiscated by the Mongolian Yin-yang Strange Old Man. The monster even dresses as Ngor Mei to hurt the leader of Wah Shan in order to agitate war within mainland China. Man Lee-wan, the niece of Wah Shan leader goes to Wah Shan to help his uncle. He finds his injured uncle lying on the road. At the same time, Dik Siu-ching dresses as a man passing by and invites them to rest at her house. Yin-yang tries to poison them but it is unsuccessful. Man hurries to Wong Shan day and night while his partners get poisoned. Man is forced to go back to Dik for the remedies. Although Man is trapped by Dik’s trick but he starts to like her. Yin-yang pretends as Man to invade Ngor Mei. The leader of Ngor Mei is kidnapped. Luckily her daughter escapes and goes to Man for revenge. Man realizes the Mongols did this and the two parties go for a battle. Sister Yuk-ha is hurt by the weapons and Man goes to Dik for the medicine. However, he is surrounded by the monster. At last, Dik saves Man to escape from the Mongols. Chan Kwok-wah, director. executive producer. scriptwriter. Tso Tat-wah (as Cheung Chi-ping), Yu So Chow (as Wu Lai-sheung), Ha Ping, Lam Kau (as Fan Yeung-shan), James Yi (as Tong Kwong-kwan), Lok Kung (as Sakei), Kam Lui (as Gohanda), Sai Kwa Pau (as Mr. Au), Ng Fung-yan, Yuan Xiaotian, Chu Yau Ko, Chow Kat, Heung Hoi, To Sam-ku. During World War II, spy Wu Lai-sheung is instructed by her superior Fan Yeung-shan to murder spy number 13 Cheung Chi-ping. While Wu establishes a relationship with Sakei, the assistant general of the Japanese army, she also gets acquainted with Cheung Chi-ping, who disguises himself as a driver. Cheung and Wu fall in love with each other. Wu even recommends Cheung to become Sakei’s driver. On the other hand, Cheung pretends to court the Japanese spy Siu-kuen. It turns out that Siu-kuen frames Cheung by secretly arranging to kill the spies who have contacts with him. In fact, Cheung has seen through Kuen’s identity for a long time, and when Kuen is preparing to kill Wu, Cheung secretly sets up an ambush and kills Kuen, Fan compels Wu to carry out the order of killing Cheung as quickly as possible. Having no other alternatives, Wu follows the instruction to murder Cheung by using a specially made cigarette lighter. After the killing, Wu disappears. After the war, Fan discovers that Wu has ended up into a mental hospital. When he is visiting Wu, he tells her of Cheung’s innocence. This breaks Wu’s heart. Fortunately, Cheung turns out to have seen through Wu’s identity for a long time and pretended to have been killed in order to cover up his identity and facilitate his underground work. With the whole truth known and the war ended, Cheung and Wu finally get married and set up a family. Noted martial arts director Yam Yu-tin, who was the director and playwriter of this film, appeared as an actor for the first time. His daughter Yam Yin and sons Yam Tai-koon, Yam Siu-koon were also in the cast. Wu Wan-pang and his sister Lai-ying are escorting a consignment of jewels. Passing through the Five Dragons’ Manor, the convoy is ambushed by Wong Tin-lung and his brothers. Brother and sister set out to retrieve the treasure, and come to Peach Blossom Village. When passing an inn, they see its proprietor Wong Lo-yee and wife being dispossessed of their property by village chief To Kam-kong. Trying to talk sense with Kam-kong, the siblings are engaged in combat by Kam-kong, Wong Sei-lung and Ng-lung. The intervention of Leung Mei-yuk, a lady knight in male disguise, beats back the intruders. The belligerents in turn launch an attack on the Leung’s Manor. A fierce battle ensues, resulting in Mei-yuk capturing Sei-lung and has him delivered to the authorities. Wan-pang and Lai-ying join forces with Mei-yuk and brother Hoi-chung, and the four knights set out to Five Dragons Village to deal with the bandits. They stop over at a “black inn” and come under attack from the enemy. Pursuing the enemy to Five Dragons’ Manor, Wan-pang and Lai-ying are captured. The siblings are about to be burnt to death with a hot pillar when Mei-yuk makes a timely appearance and wields her sword to attack the bandits. Tin-lung exploits his mechanised booby traps to capture Mei-yuk, but the latter’s luck saves her. Mei-yuk’s father Leung Kit and a company of men come to the rescue. Tin-lung is subdued, bound up and delivered to the law.